The Independent Institute tweeted an old article by Professor DiLorenzo, “Indian Genocide and Republican Power“. 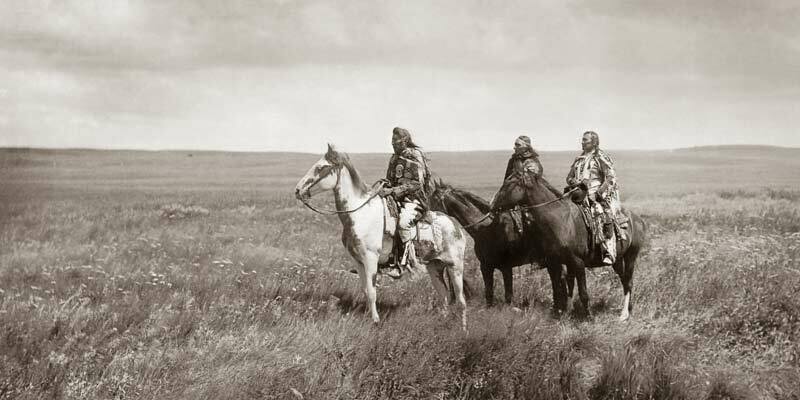 In a recent post, “Business Idea: A Gold/Silver 100% Reserve Bank“, I made a brief comment about the US government waging war against the Plains Indians in the latter part of the 19th century. DiLorenzo’s article explores this topic in more detail and provides a wealth of resources for further study. Another reason why this article attracted my attention is my frustration with the attitude of all to many modern day American libertarians proclaiming the late 19th century as the last great laissez faire era of US history. Ironically, as DiLorenzo explains, the Civil War period and is aftermath was when laissez faire conditions began to be replaced by crony capitalism. The era was marked by high tariffs, enormous subsidies to railroads, outright bribery of public officials with railroad stock, and a decades long war against the Plains Indians in support of the railroad companies. This is hardly a society of “economic harmonies” as envisioned by Bastiat. Not only was the war waged for reprehensible reasons, it was waged with a special type of brutality that started a trend in US warfare which reached its apotheosis in the “strategic” (aka terror) bombing campaigns against Japan and Germany during World War 2. US Army officials viewed Native Americans as “subhuman and racially inferior to whites”. This attitude was passed on to the troops and, in manner similar to the attitude of the Japanese Army towards the Chinese in the 1930s and 1940s, the natural disinclination for humans to kill defenseless humans was obliterated. Inevitably, massacres followed. This entry was posted in Political_Economy and tagged native_americans. Bookmark the permalink.